Mark Kirby, Allyson Finley and Tammy Blechschmidt cross the finish line at the 2016 Ottawa Marathon. It’s almost a decade since Mark Kirby formally took up running, unsure if his initial steps in 2007 would lead him much past his five-kilometre training goal. 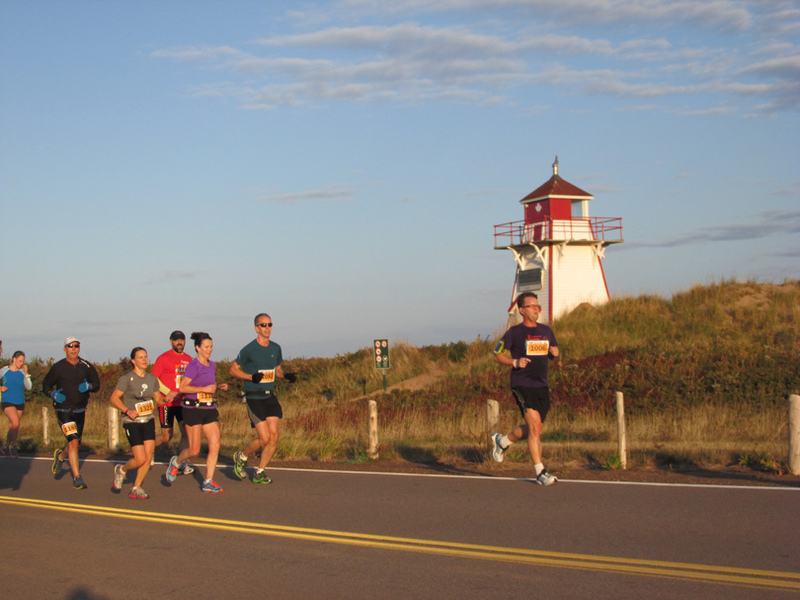 Mark Leger, right, is shown finishing the Prince Edward Island Marathon in 2010 with his sister Allie. He will participate in the 20th anniversary edition of Marathon by the Sea on August 10. This is the 17th story in a series profiling runners who will compete in the 20th anniversary running of Emera Marathon By the Sea Marathon in Saint John. The stories are also running on the MBTS Facebook page and MBTS website. Editor’s note: A lifelong baseball fan, Mark Leger was introduced to distance running as he watched his sister and his friend compete at the Boston Marathon. One of the rewards for making the trip was taking in a few games at Fenway Park. However, after receiving plenty of suggestions, encouragement and personal challenges, he ultimately tackled and succeeded in completing the marathon distance. Now, he has further expanded his interests and is a triathlete. 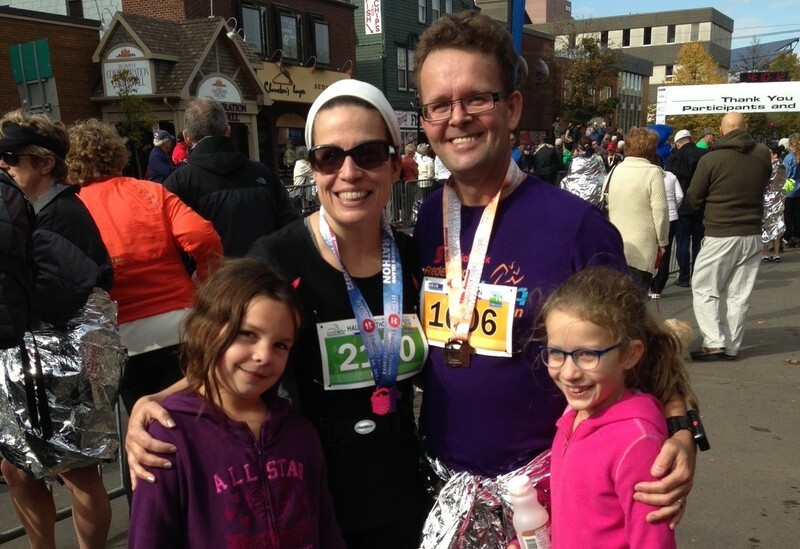 Here is his story on running, fitness, his motivation and that one goal he still covets. This was in the early stages of the P.E.I. Marathon Sunday as we ran adjacent to Brackley Beach. I figure it took about 72 hours after the marathon for my legs to feel right. The biggest pains were in my thighs and walking to my second floor office was a chore on Tuesday and Wednesday. But other than that, the physical discomfort and pain levels after the P.E.I. 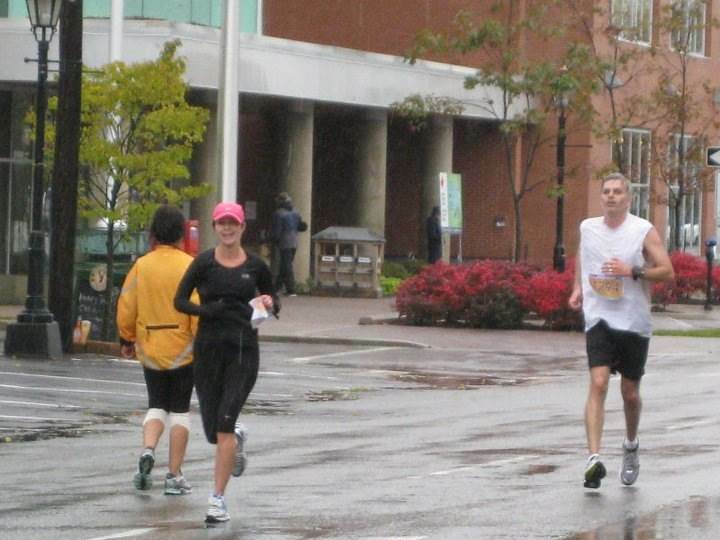 Marathon were surprisingly low, at least compared to a year earlier in Moncton. Here we are, celebrating at the finish line on Sunday. So how to reward yourself after running a full marathon? That’s right, hot hamburger and fries at the Big Stop in Salisbury. Extra Ketchup? Indeed. Anyway, still in recovery mode from the big race Sunday. Below I’ve listed the technical details, include a time break down and other thoughts. If you are not into numbers and KM splits, this is probably a little tedious. Later on this week, I’ll post some random thoughts on the event, the weekend and the Old Home Week-like feel at the finish line as well as a few photos. I was delighted with the result and now, some 48 hours after the start, my legs are still aching pretty good. Anyway, here is the recap of the race. 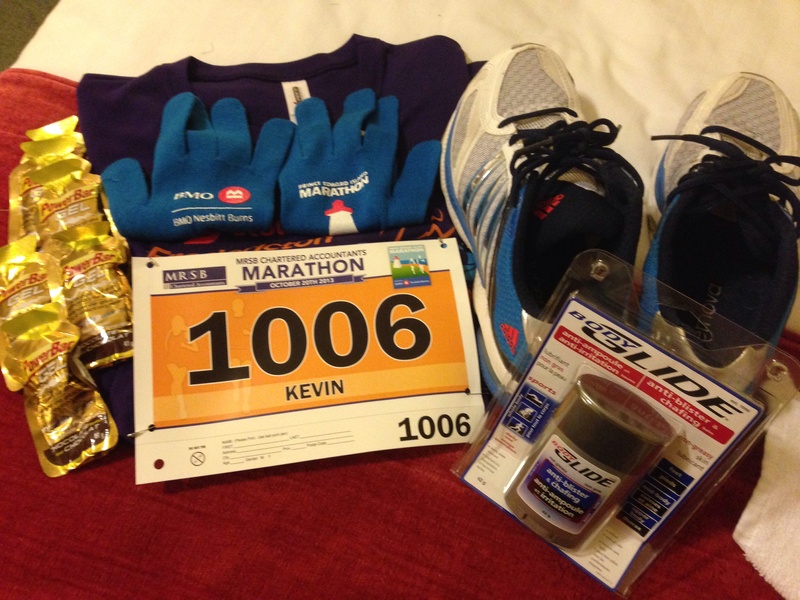 The race gear is ready for the 2013 Prince Edward Island Marathon. Less than 12 hours away from the big race, we were carbed up, we were about to say goodbye to the girls for the night and my wife and I were headed back to our hotel to a good night’s sleep before our respective full and half marathons as part of the Prince Edward Island marathon weekend. I wrapped up the final training run for the Prince Edward Island Marathon last night, although I may get out today and/or tomorrow for a 20-min jaunt to shake out the cobwebs. It is hard to believe but the final stage of training is well underway, with all the predictable anxiety, doubt and apprehension levels creeping higher and higher. Some of the final adjustments include setting up the music playlist, finalizing a spot for our dog to stay on the weekend and getting all the gear cleaned. 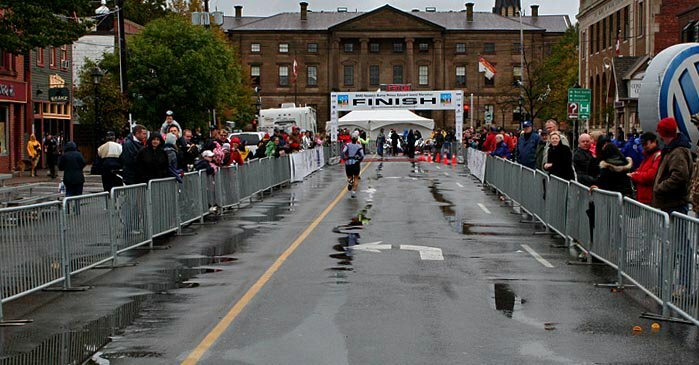 We took this photo of the finish line during the 2010 P.E.I. Marathon. It is a special setting for all racers, who get a glimpse of the historic setting after a final turn, approximately 1/2 kilometre from the end. Hope everyone enjoyed or will enjoy the spoils. We have a small gathering here today to enjoy our feast. The timing is perfect, especially after a 19 km effort last night.